This Pack is perfect if you can’t decide which colour theme you prefer. 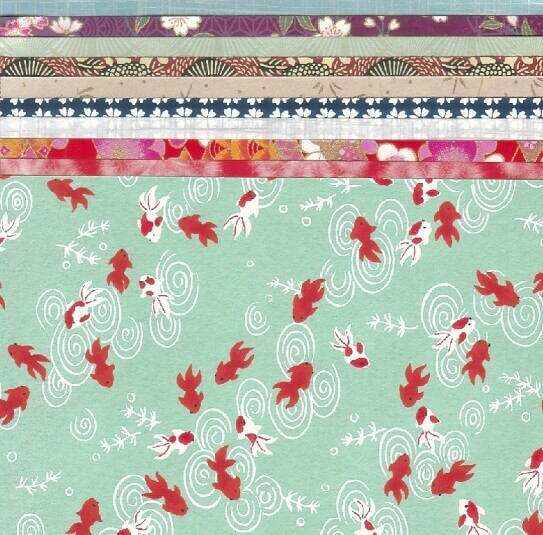 Containing a mix of 5 chiyogami yuzen papers and 5 specialty papers, measuring 24cm x 20cm (9.5in x 7.9in), each Pack is unique, carefully prepared to ensure the colours work together. Don’t be surprised if you keep coming back for more!